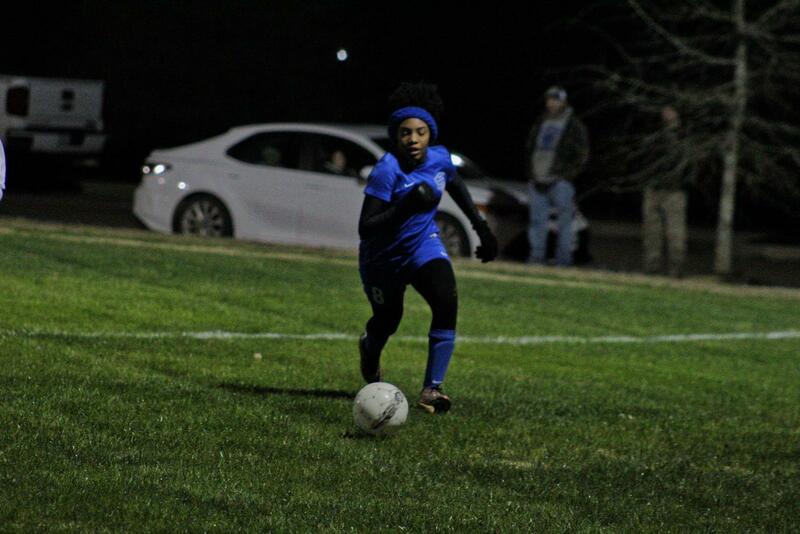 Both the MSMS Lady Waves and MSMS Blue Waves faced off against the Vardaman Rams in a non-district match on Monday, 1/14. 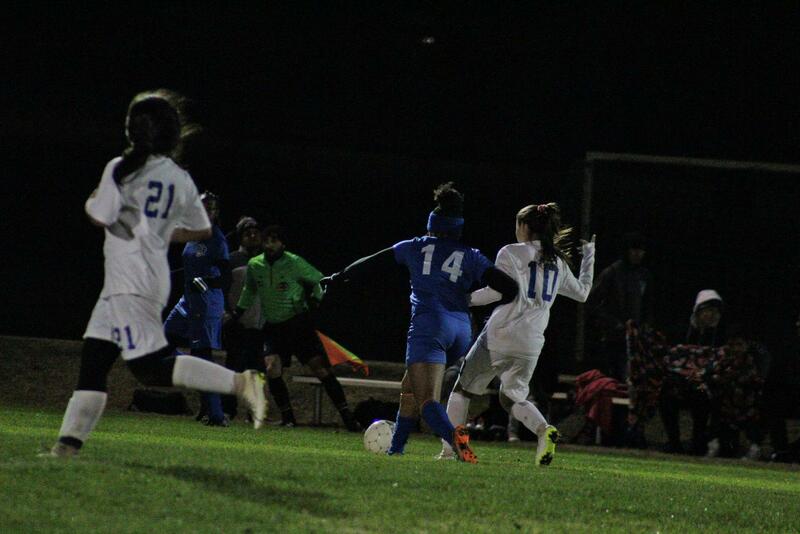 The Lady Waves won with a score of 6-0, while the Blue Waves lost to the Rams with a score of 0-7. The Lady Waves continued their stride from their previous victory against Winona (9-0), continuing techniques such as “Picking up the Trash” (intercepting the ball from opposing team’s passes) and by practicing even more aggressive offense. The Lady Waves ended up scoring 3 times in the first half, and another 3 times in the second! The leading scorer was Amber Means, who scored the first goal within the first five minutes of the game. To almost everyone’s surprise, the powerful shot took place from 25 yards down-field and made it into the corner of the net. She also made two other goals across the course of the game. The first goal set the pace for the rest of the game, just like she described. The other scorers were Erin Williams, Tierah Macon, and Niyah Troup, each scoring one goal and putting pressure up-field. 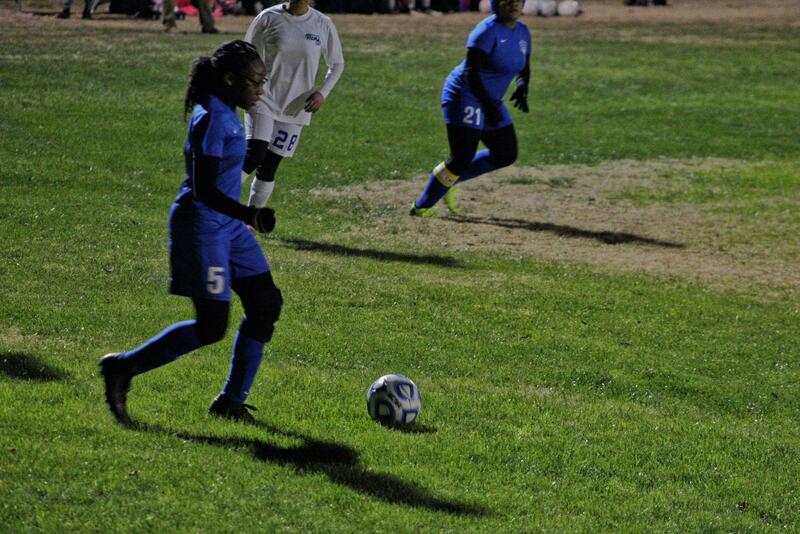 Niyah Troup makes her way to the goal. Several advances upfield were aided by the extensive coverage of the Lady Waves defense, Madison Wypyski most notably playing the sweeper position to send the balls that had gotten past the mid-field straight back up to the strikers and to outside-mids junior Catherine Li and Grace-Ann Beech. Along the chain of passes, the Lady Waves were communicating to their teammates and following the advice that Coach Yarborough was yelling out from the sidelines. The plays were very coordinated, with the Lady Waves setting up themselves for open passes en route to the goal, but what was more noticeable was the Lady Waves ability to cover a wide amount of situations regardless of the exact assigned positions they had. Millie Purdue was sick on the bench this game, but still provided some valuable insight. 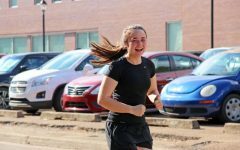 “The MSMS Lady Waves team is different from other high school teams because instead of teaching players one set position that they will only ever play, Coach Yarborough teaches us to specifically adapt to our team mates, and that allows us to be ready for any situation,” Perdue said. “It’s also why you don’t really see just one set scorer from our team. We try to adapt to the game and take our chances when we have them,” she added. With the Lady Waves winning another match that now puts them at 5-1-1. The Blue Waves faced off against the Vardaman Rams after the Lady Waves, struggling with a final score of 0-7. 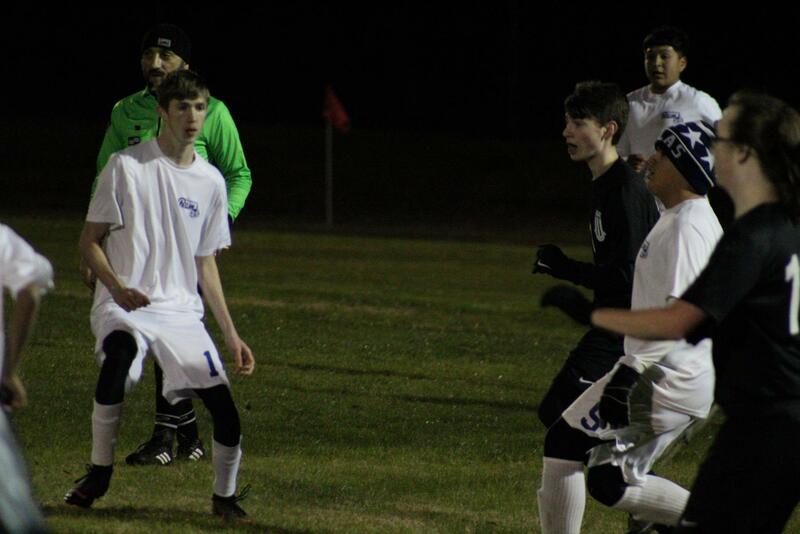 The Blue Waves faced off against Vardaman in a high-intensity match. 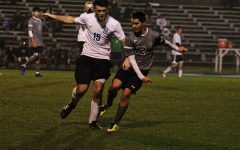 Several attempts were made to drive the ball up the goal, but a common theme of the game was the intense competition that the Rams placed on the Blue Waves. Often passes made by the Blue Waves would be intercepted by the Rams, who were overall quicker, more coordinated and more technical with their shots. 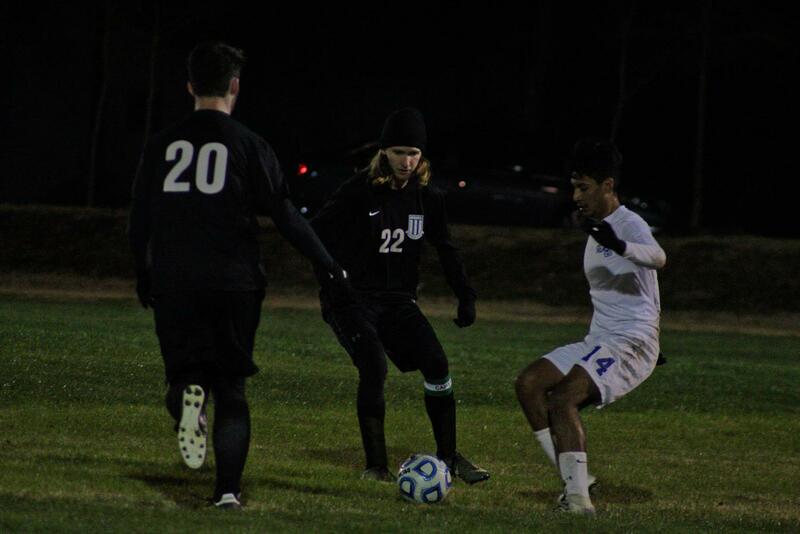 Fending off the Rams proved to be especially difficult for the Waves’ defense, multiple strikers from the opposing team racking up the goals by the end of the game. Taylor Shamblin steals the ball from a Vardaman player. Coach Morri Mims, however, wasn’t disappointed in the performance of the Blue Waves. During a half-time talk, he suggested that the other team had been practicing together for all of their high school career, possibly longer. The short soccer season at MSMS just couldn’t compare equally to the multiple years of team bonding and practice that the Rams could afford to have. Later last week both the Blue Waves and Lady Waves faced their biggest competition, Choctaw Central in a non-district match. You can read about it right here.